Current table toppers of the NPL, Black Africa edged out a tough Eleven Arrows to be the third team progressing to the Standard Bank Top 8 semi final round. The game which was played at the Sam Nujoma stadium saw Black Africa beating the Arrows 1-0. 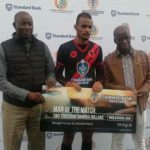 The winning goal was scored by McCartney Nawaseb in the 70th minute of the game. 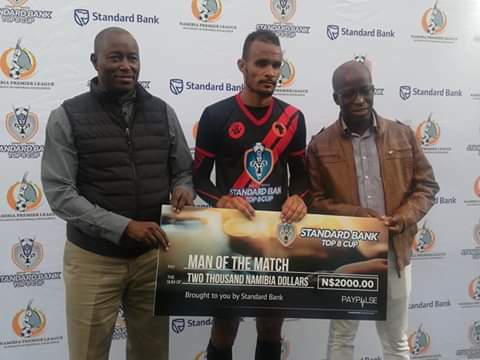 The game also saw Nesley Katjiteo taking home the man of the match award plus a N$2000 cash prize. The last match in the quarter final round of the Standard Bank Top 8 Cup between African Stars and Orlando Pirates will kick off shortly.